U.S.-Chinese trade is “mutually beneficial” and disagreements are inevitable, said foreign ministry spokesman Geng Shuang. He said all governments should “spare no effort to avoid negative impacts” on the global recovery. China appealed to President Donald Trump on Wednesday to avoid disrupting trade and to settle steel and aluminum disputes through negotiation after Trump said he would decide whether to impose tariffs or quotas. 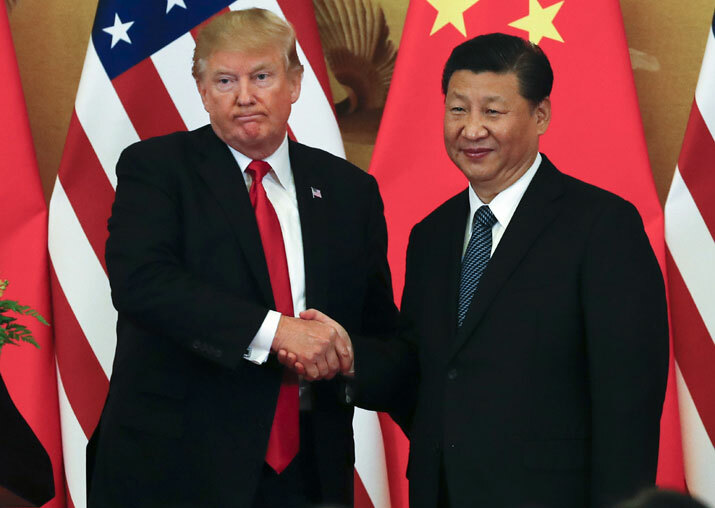 Trump said Tuesday he is “considering all options” in response to complaints Chinese steel and aluminum being sold at improperly low prices threatens American jobs. Speaking to legislators, the president said he might take action on national security grounds. “We should see these differences in a reasonable and objective manner and properly handle and manage them through dialogue and consultation following the principle of mutual respect, equality and mutual benefit,” said Geng. Trump’s government has raised tariffs on Chinese-made aluminum foil and stainless steel to offset what Washington says are improper subsidies. Last month, Trump also approved higher tariffs on solar cells and washing machines from China. Steel and aluminum are among industries in which Beijing is trying to reduce excess production capacity other governments say are flooding their markets and threatening jobs. Despite that, steel output has risen while aluminum producers are setting up new, more efficient smelters. The U.S. Commerce Department announced in November it would investigate whether Chinese aluminum producers receive improper government subsidies. It estimated prices were 56 to 60 percent below the proper level.